BOGURA, Dec 06: Abundant production of cauliflower has brought smile on the faces of farmers in the district this season. 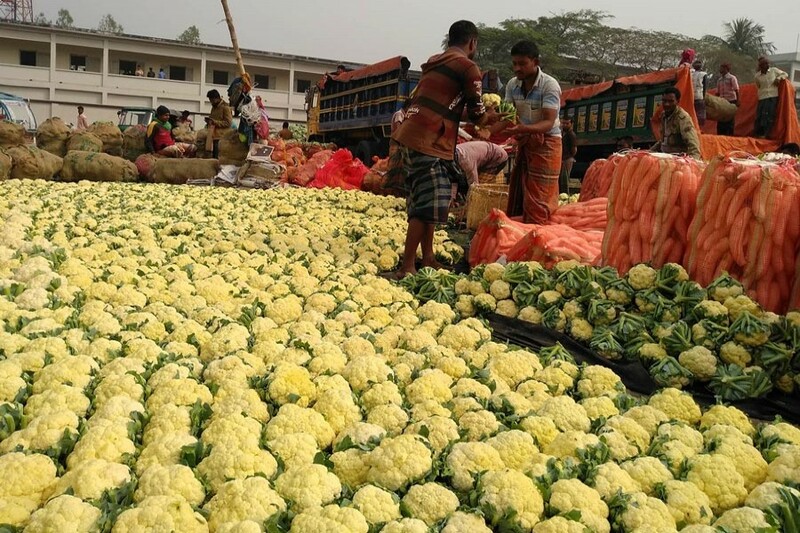 Twelve pieces of small cauliflowers are being sold at Tk 120 to Tk 150, 12 middle size cauliflowers at Tk 160 to Tk 200 and 12 large cauliflowers at Tk 230 to Tk 250 in the local retail markets. Hundreds of farmers in Shibganj, Kahaloo, Sherpur, Dupchnachia, Shajhanpur, Shariakandi, Nandigram, Sonatola and Dhunot upazilas are making handsome profit from the produce. Traders from Mohasthan, Mokamtola, Adamdighi, Omarpur kitchen markets said locally-produced cauliflowers are sent to different districts across the country. Farmer Sammad Hossain under Shajahanpur upazila said he has cultivated cauliflower in 25 decimals of land spending Tk 9,000. He sold all his produce at Tk 34,000 and is expecting to make profit of Tk 8,000 more till the end of the season. A cauliflower farmer can earn over Tk 40,000 to Tk 60,000 by growing the vegetable in a bigha of land. According to the officials at the Department of Agriculture Extension (DAE), cauliflower farmers in the district have already exceeded the farming target. The department provided all necessary support in this connection. Sub-assistance agriculture officer of DAE Faridur Rahman said cauliflower cultivation is popular here due to high demand and good market prices. Deputy Director of DAE Nikhil Chandra Biswas said November to January is the high time for farming the winter delicacy.